Specialty: Intervention therapy for liver cancer, hepatic hemangioma, myoma of uterus, severe acute pancreatitis. Graduated from Baotou Medical College with bachelor’s degree, Dr. Zhen Yanli is one of the earliest interventional experts in China. He has been engaging in the work of surgical treatment, medical imaging diagnosis and interventional therapy, taking the job as a tutor of graduate students for master’s degree, and serving as some advanced subject pace-setter and academic leader. With the experience of working in several well-known domestic large hospitals and engaging in interventional treatment research and learning, Dr. Zhen is one of the most experienced and respectable figures in Modern Cancer Hospital Guangzhou. From 1980 to 1985, Dr. Zhen studied in Baotou Medical College. From 1990 to 2004, he took part in training courses of interventional therapy which was held by Chinese Medical Association. From 1992 to 2005, he took advanced study in many domestic hospitals. 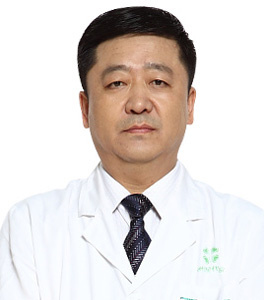 With 30 years of experience on cancer treatment research and clinical interventional therapy, Dr. Zhen has been thinking and studying in the field of cancer treatment repeatedly, and has accumulated rich clinical experience. He masters in percutaneous selective arterial infusion chemotherapy for various malignant tumors, percutaneous selective artery embolization, and treatments for cancer complications such as esophageal obstruction, intestinal obstruction, biliary tract obstruction, ureter stenosis and bronchial stenosis etc. In addition, he masters in minimally invasive treatment for various malignant tumors, and has high attainments in many minimally invasive operations, such as percutaneous biliary drainage, percutaneous ureteral drainage, esophageal stent placement, intestinal stent placement, biliary stent placement, macro-vascular stent placement, cerebral vascular stent placement and tracheal stent placement etc. During these 30 years, he has a deep exploration on interventional therapy for liver cancer, hepatic hemangioma, hysteromyoma, severe acute pancreatitis and other related diseases. Due to his great achievements in esophageal stenting and the design of anti-reflux stenting for post-operative esophageal cancer patients, Director Zhen has undertaken the research of relevant provincial and ministerial-level projects and published related journal papers on domestic top core magazines for times. Besides, he was invited to give academic reports in large nationwide academic conferences for many times. Especially, his research on interventional therapy of hepatic hemangioma has won the award of science and technology progress.